Bodrum, Mykonos, Naxos Island, Los Island, Santorini, Amorgos, Levita, Kos, Bodrum light tours are waiting for you. Located a few miles from the island of Mykonos in Greece, Delos is a small islet. Delos was one of the most important temples in Greece in ancient times. This place was thought of as the birthplace of Apollo and Artemis. Here you can visit the ruins of some temples, theaters and houses from one of the greatest civilizations in history. 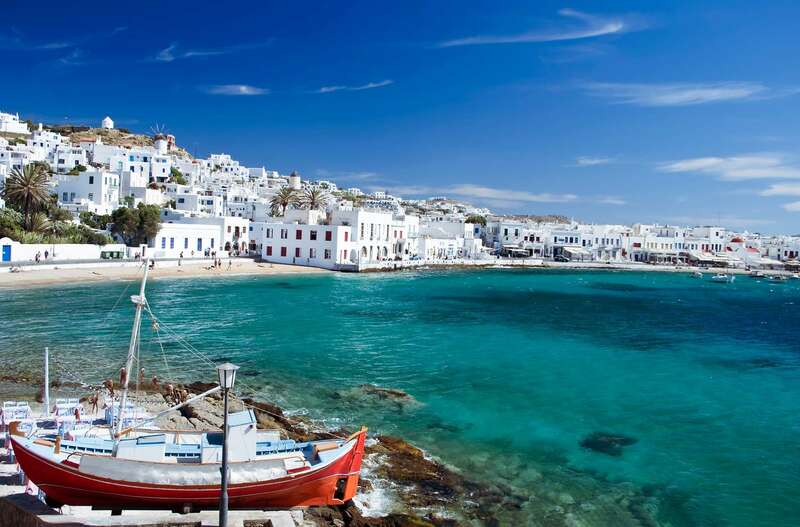 One of the reasons why the island of Mykonos is overly popular is the many sandy and crystal clear waters. The most popular beaches are Paradise, Super Paradise, Elia, Platis Gialos, Psarou, Agios Ioannis, Agrari, Paranga, Kalo Livadi, Ftelia and many more, and these are very well arranged and are among the best in Greece. It is thought to be. 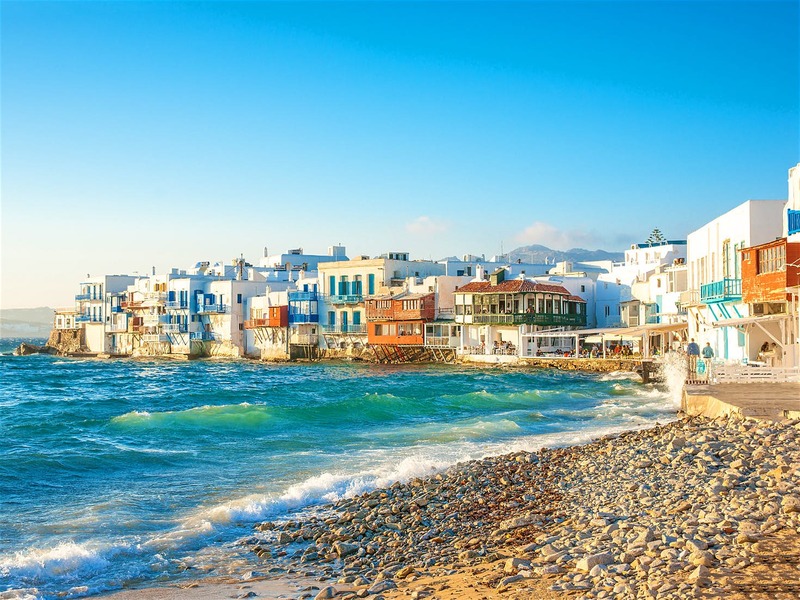 The nightlife on the island of Mykonos is famous all over the world, and this is the main reason why this island is very popular and attracts many tourists. 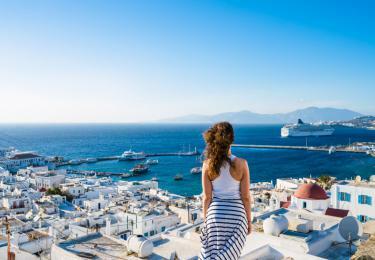 The whitewashed city center of Chora or the town has hundreds of bars and clubs full of people, and there are great night clubs and lively beach bars at the famous seaside resorts. Party and entertainment are all going on throughout the night. 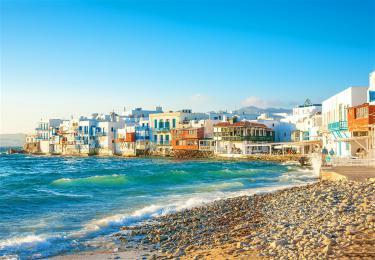 One of the reasons why this island of Paros is popular is the perfect beaches. The beaches, sun loungers and umbrellas that you can do windsurfing or partying, authentic or regular beaches are all just waiting for you to visit ... 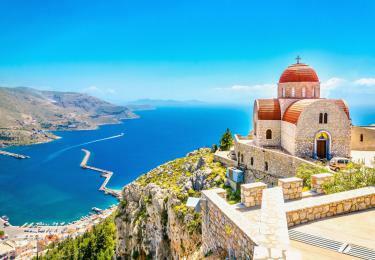 The most famous of these are Golden Beach, Kolimbithres, Parasporos, Santa Maria, Pounda and many more ... has. 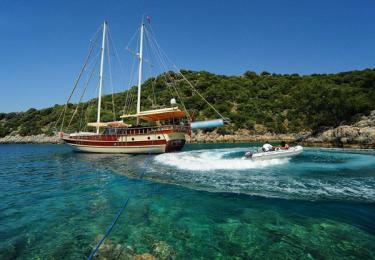 The island town of Parikia is an attractive town with many activities concentrated here. 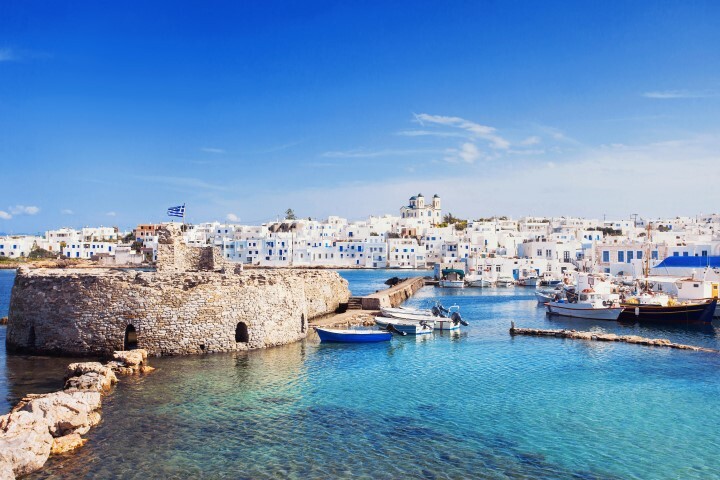 The second most important village of the island is Naoussa, known for its cosmopolitan life and known as one of the most beautiful villages in Greece. The nightlife of the island of Parkos ranks third in the Cyclades islands after Mykonos and Ios. There are plenty of bars and nightclubs in Parikia and Naoussa. Iosdirs city center is Hora bir, which is the only main settlement of the island, but also the only place with a permanent settlement. It is a beautiful Cycladic village, filled with lovely whitewashed cube-shaped houses. The island of Ios is full of tranquil beaches, and these beaches extend over miles by combining the pure emerald color of the crystal clear waters with their golden sand. 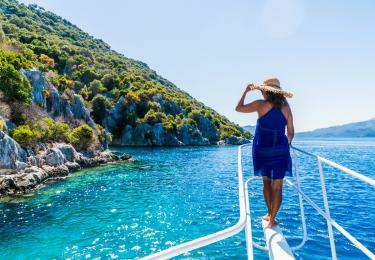 Almost all of these beaches have been abandoned and there are no rented equipment or tourist facilities to disrupt the wild beauty of these beaches. This is very rare in Greece these days. There are also fully equipped beaches that allow all kinds of water sports. The most famous of these are Mylopotas and Manganari. 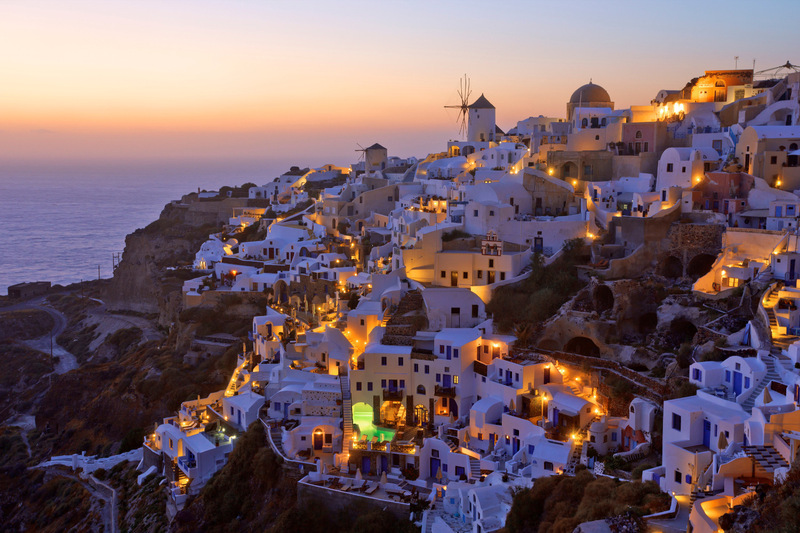 It is famous for its nightlife density in Ios, as well as its diversity in Greece and all over the world. Thousands of tourists come here to enjoy the pleasure and fun of clubs and bars on the island. B.C. Around 1,500 Santorini island volcano in Greece exploded and the explosion was so great that the island was sunk in the center of the island. In addition, the destruction of the civilization of the Minoan on the island of Crete may have been due to this explosion. The most famous ones are Perissa, Kamari and Red Beach. Perissa and Kamari have large and endless black beaches, while the famous Red beach consists of black and red volcanic rocks. The island of Santorini is known for its most spectacular villages. 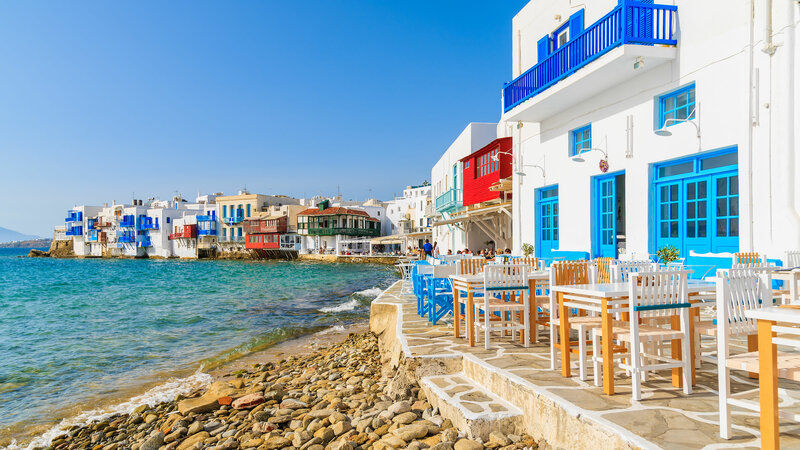 These traditional villages are like other villages on the Cycladic islands, but they are different because they are built on the impressive rocks. From these villages to the volcano, there is a magnificent view towards the sunset and the sunset to Thirassia. Some of the most beautiful luxury hotels are here. 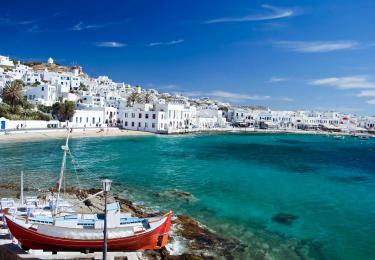 The most famous beaches of the island are Oia, Fira, Messaria and Imerovigli. 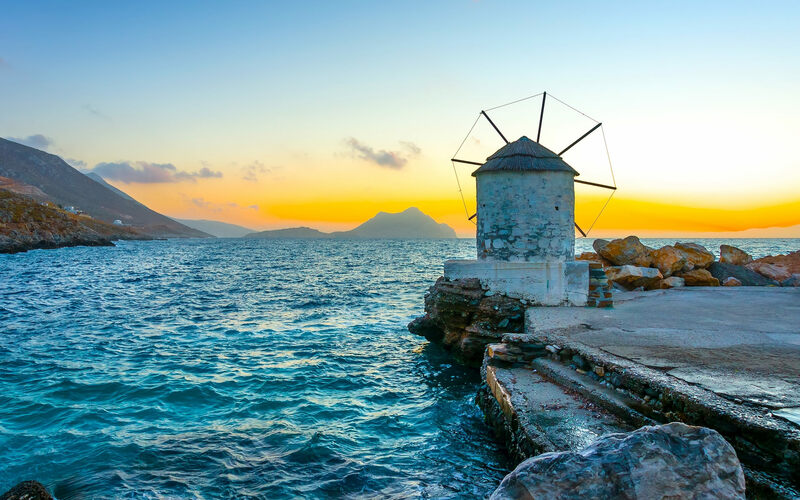 The most interesting village in Amorgos Island is Chora. This village, which is the city center of the island, is 400 meters from the sea. It is a charming village with a unique atmosphere of whitewashed houses, windmills, Venetian Castle, churches and maze-paved streets. 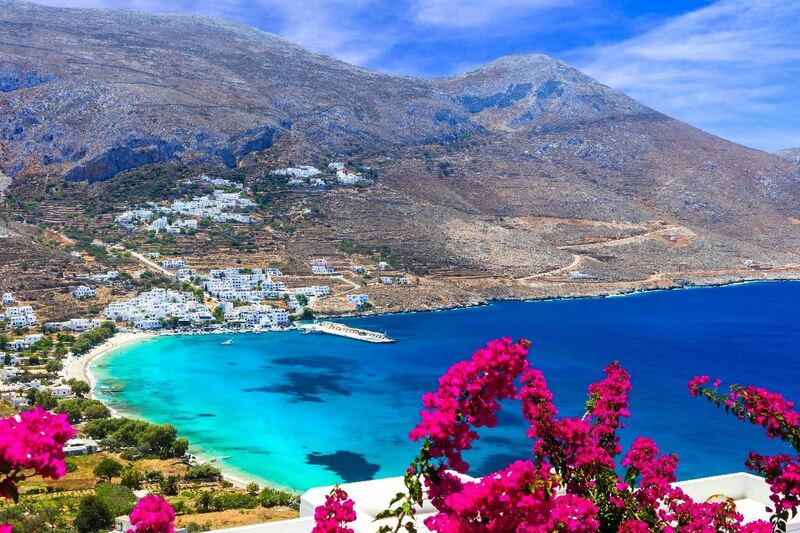 This island of Amorgos, Greece, is famous for its magnificent colors. 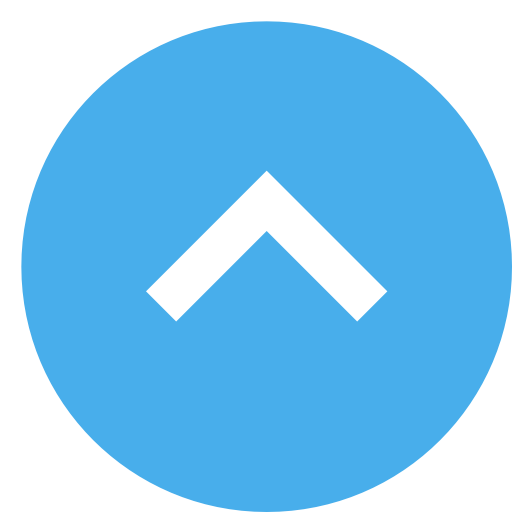 For this reason, the French filmmaker Luc Besson has chosen this candidate for the important scenes of the film "The Big Blue". This island has a deserted, surprising passion and sandy beaches. Amorgos has a lively nightlife. This island mostly consists of hot little bars, restaurants and a dance club or both. 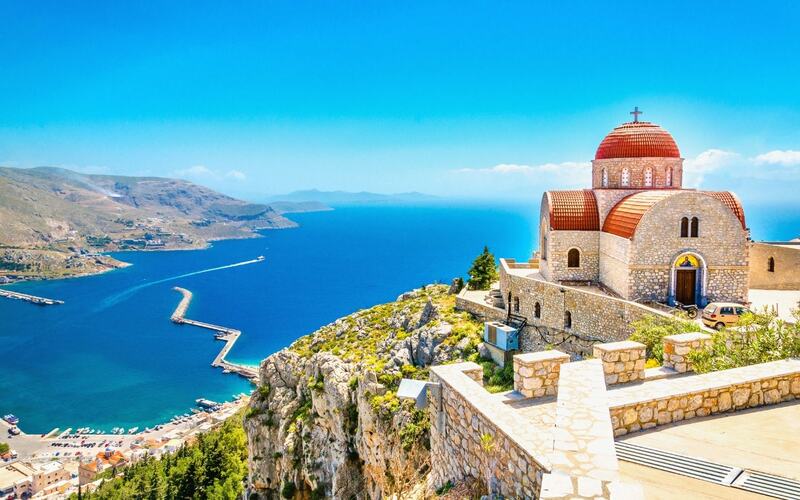 You can have a pleasant day at this charming Greek Island Levita, known for its peaceful atmosphere, long sandy beaches and white houses. Kos (Kos) Island is really a place worth a visit. 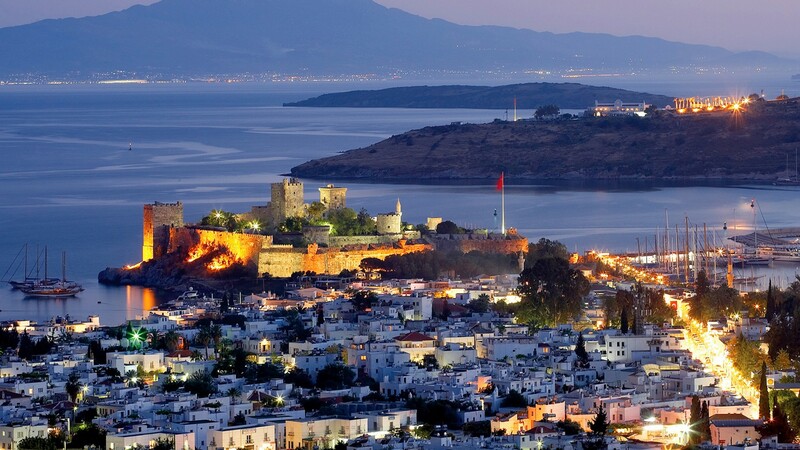 Kos is the island that brought the father of medicine Hippocrates to the world. 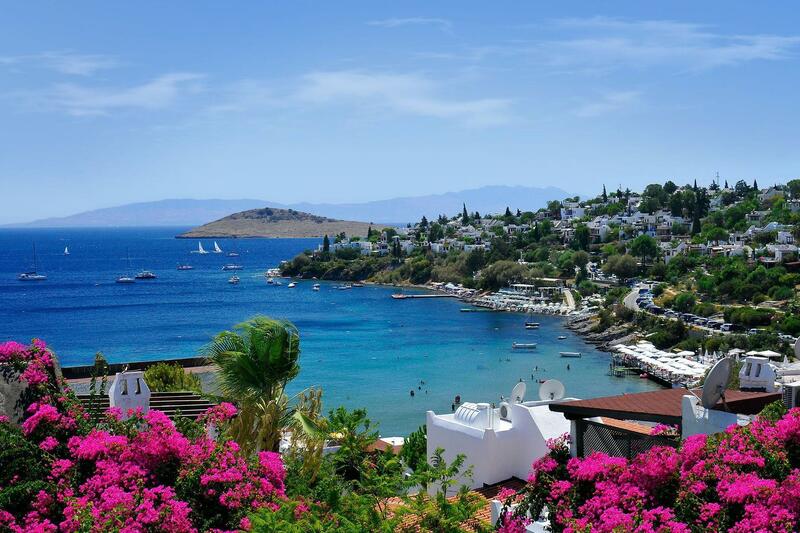 Kos, the third largest island of the Twelve Islands, is a very green island with an excellent infrastructure and palm trees. 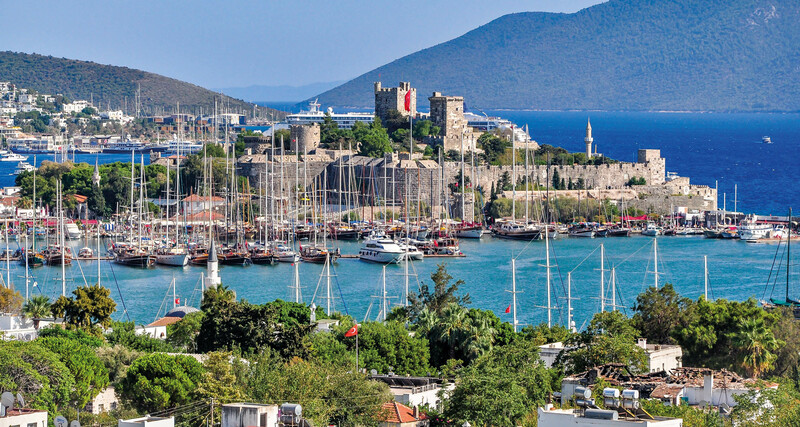 During your visit to Kos Island, you should definitely visit the ancient ruins of the city, the ı Asklipios "ruins, the" Castle of the Knights kalın and the large Hippocrates tree (trunk diameter of 11,5 meters!). Some of the most beautiful beaches of the islands of Greece's Dodecanese are found in Kosa. With numerous archaeological sites in and around the city, Kos is an ideal place for walking or cycling. In the evening, we will move to Bodrum Harbor for the last night. After breakfast on the 8th day, our blue tour ends at 10:30. Full Board: Breakfast, lunch, afternoon tea, coffee and cookies, dinner. Transitlog, tax and bonding fees in Turkish territorial waters. Clean linen and bath towels on arrival (beach towels are not provided). 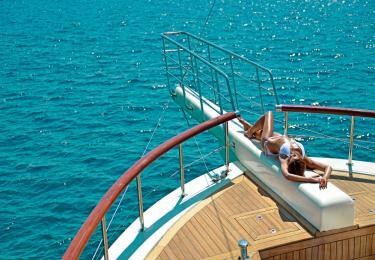 Yacht insurance (does not include personal travel insurance). Alcohol and soft drinks (including bottled water) are chargeable. If requested, it can be taken from the bar. 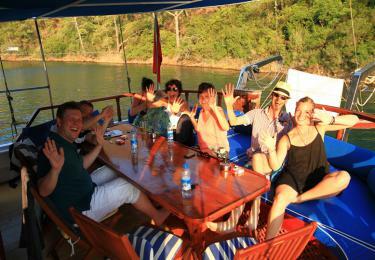 Optional land tours and entrance to historical sites and museums.